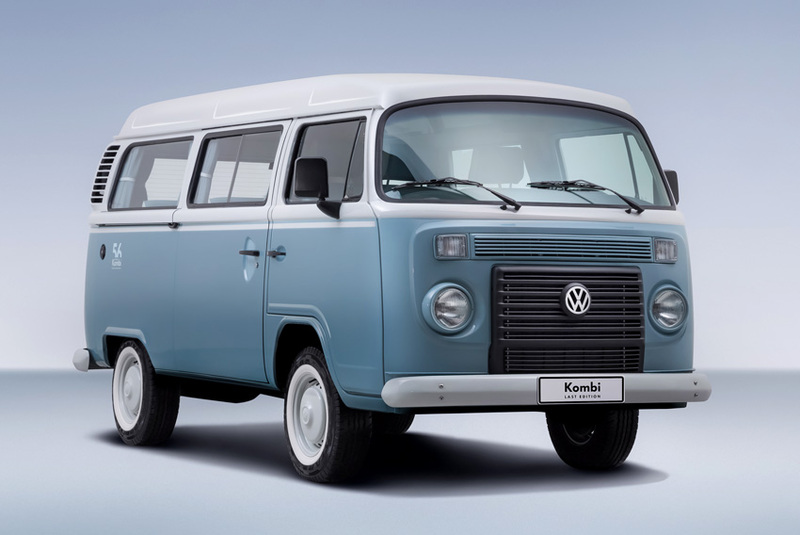 Volkswagen do Brasil has announced the Kombi Last Edition, a special commemorative series of one of the most successful Volkswagen models in Brazil and the longest produced model in automotive history. and features exclusive body paint, luxury internal finishing and design elements which give a nod to the many versions made in Brazil since 1957. The upper section of the front grille, headlights and indicator rims come in the same colour as the exterior. Front indicator lights feature white crystal lenses. At the side of the vehicle decals help identify the special series: '56 anos - Kombi Last Edition'. Inside, the Volkswagen Kombi Last Edition features distinctive blue fabric curtains in the side and rear windows and curtain fasteners bear the 'Kombi' logo, a feature typical of the model's top versions from the 1960s and 70s. The seats come in special vinyl upholstery, with sides in Atlanta Blue and a matching two-tone centre (blue and white). The model can seat up to nine people. The internal side, door and cargo panels are also upholstered in Atlanta Blue vinyl and are finished with decorative stitching. The cabin and luggage area floors are fitted with carpet and dilour Basalto inserts, the same material that covers the spare tyre. Each Kombi Last Edition is provided with a special certificate of authenticity. The model is equipped with the EA111 1.4-litre engine, which delivers 78 ps when used with petrol or 80 ps when used with ethanol (both at 4,800 rpm). The transmission is a four-speed manual.